Chris Duffey Best Pisco Sour: Sidebar. 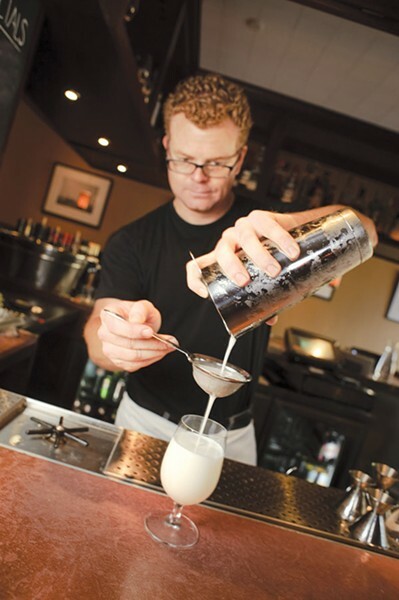 Peru's popular pisco sour is the au courant drink of the East Bay, and a couple of establishments, most notably Bocanova in Jack London Square and Adesso, the rocking Piedmont Avenue corner restaurant, do respectable ones worth sampling. But the restaurant/bar with the absolute best pisco sour in the entire East Bay is Sidebar, the warm and exceptional Grand Avenue hangout with a convivial copper-topped bar and delicious food and beverages. The classicist pisco sour is good, sure, but it's not quite as outstanding as the "locavore" pisco sour ($9). Sidebar mixologists, akin to modern-day mad-scientists armed with a teeny-tiny, itsy-bitsy medicine dropper, turn Marian Farms Organic pisco (brandy, really), plus lime juice, sugar, Angostura bitters, artisan Small Hands Gum Syrup(! 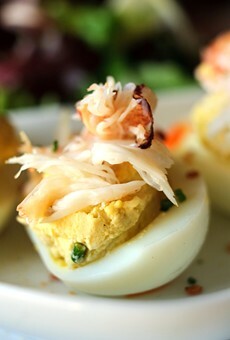 ), and whipped raw egg whites into the tastiest, most refreshing, liveliest libation this side of South America.